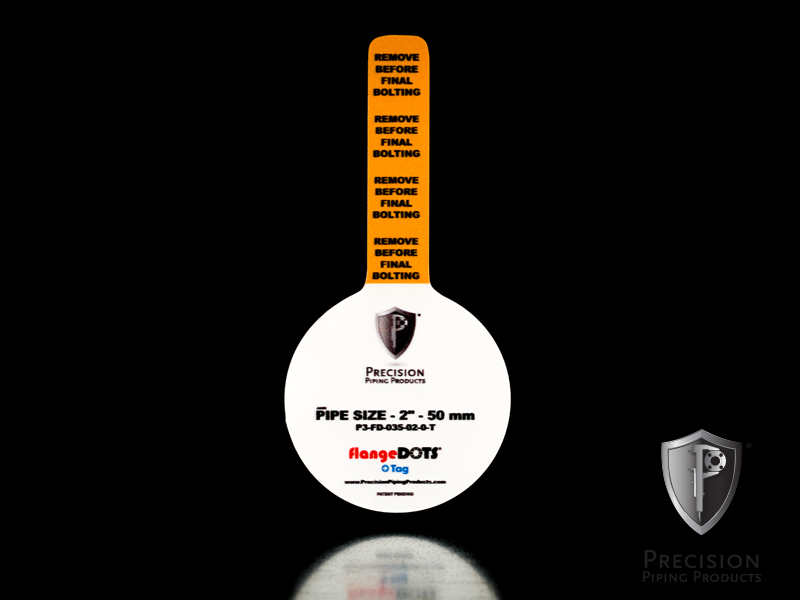 This rendition of our flangeDOTS™ is manufactured with an adhesive tag that protrudes from the flange face to act as an immediate reminder that it is in place, even if it is left on after test fitting pipe spools. This visual clue allows inspectors to instantly know if a flangeDOT™ has been left on during final fit-up. There is nothing worse than doing a final test on a line, only to have to pull it apart afterwards to remove vital protection that was no longer needed. flangeDOTS™ +Tag are made from the same material as our regular flangeDOTS™. They are perfect for protecting flange faces from light mechanical damage, corrosion, and for protecting the interior of the spools or equipment from debris.